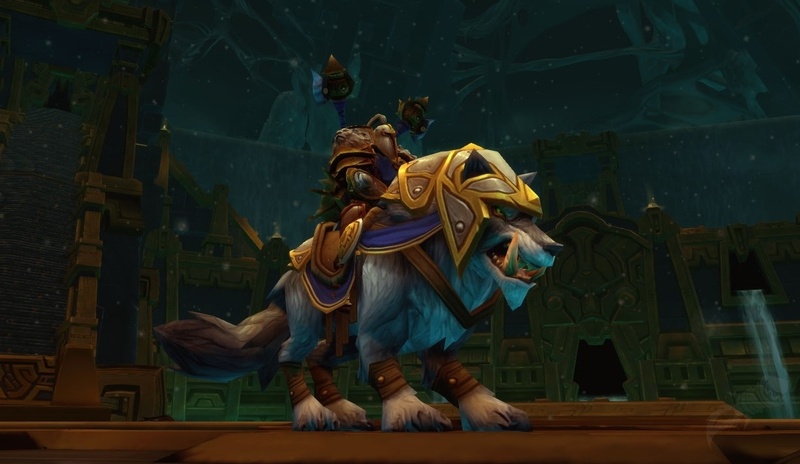 Elkagorasa the Casual: Why the LFR Animosity? My point is I know a lot hate this feature but personally I am grateful for it. Sure I would love to raid with a guild again, but time is an issue lately and I don't want to fully commit. LFR is a nice feature for me overall. I am probably in the minority but just wanted to say anyway. and I get what he says. Last night, I am healing on my Disc Priest, and we've wiped 3 times on Malkorok. Sure, the ranged dps aren't all jumping in the purple zones causing a lot of aoe damage, but no one ever explained this to the raid. Instead I see in chat comments like "UR all LFR tards" and "kick all &@*# low dps!". Really?!? If people really hate this feature, I mean, so much to start calling names and cussing out the group, then why are they running it? Hmmm? As DPS, I queue up for all four SoO LFRs and can typically get into one fight within half an hour; sometimes even less. That means there are at least 24 other people with my same idea at this same time. Like Karpa, I don't have a solid guild that has enough people to run raids. We did. Now, I sit with my 3 other guild compatriots, logging in regularly, chatting seldom, keeping our level 25 guild alive, but mostly only waving as we pass. LFR is all (the raiding) I got. To me, it's as if the "casual" animosity of Wrath has morphed into LFR hate. Makes me want to say something like "Sorry dude, you're just to L33T for LFR, please leave. ", but won't. Just adds to the rage. I think LFR is definitely a nice addition to the game, even if I don't do it all that much myself. (Mainly for lack of time). If I didn't have a guild, it'd be a life saver, since I'd hate not to get to see the raiding content. I currently use it as a visual aid to know what a boss fight looks like before doing it with my guild. Or if I want to gear my off-spec, or an alt (well, I want to gear an alt, but the time just isn't there at the moment).